It’s about 26.2 miles to fight cancer and $10K toward research. It’s about Susan Milk and Peter Geanoules. We’re running for people braver than we could ever be. It’s not only about the people, but also about the cause, about setting a goal and challenging ourselves. 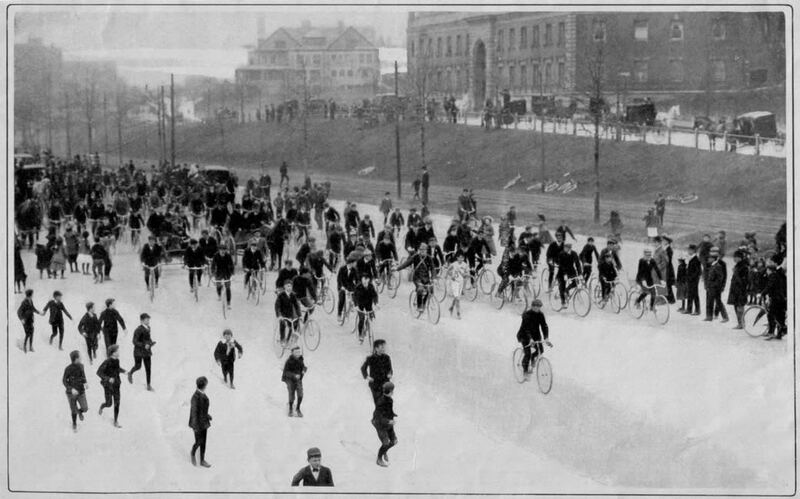 This is a shot of the spectators– you can kind of see the road they raced on–they didn’t let people cycle the marathon back then, although, it’s not a bad idea.